Tributes poured in on Wednesday to Stephen Hawking, the brightest star in the firmament of science, whose insights shaped modern cosmology and inspired global audiences in the millions. He died at the age of 76 in the early hours of Wednesday morning. In a statement that confirmed his death at home in Cambridge, Hawking’s children said: “We are deeply saddened that our beloved father passed away today. He was a great scientist and an extraordinary man whose work and legacy will live on for many years. His courage and persistence with his brilliance and humour inspired people across the world. Hawking was driven to Wagner, but not the bottle, when he was diagnosed with motor neurone disease in 1963 at the age of 21. Doctors expected him to live for only two more years. But Hawking had a form of the disease that progressed more slowly than usual. He survived for more than half a century. 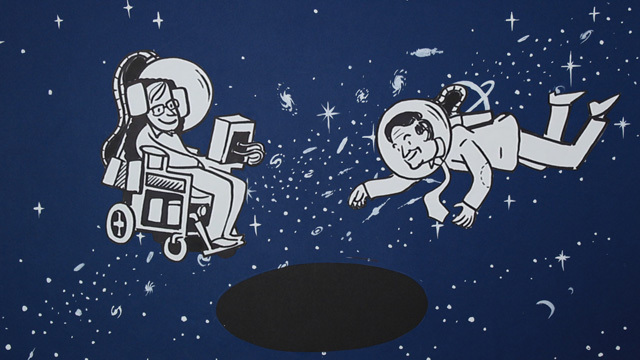 Hawking’s first major breakthrough came in 1970, when he and Roger Penrose applied the mathematics of black holes to the universe and showed that a singularity, a region of infinite curvature in spacetime, lay in our distant past: the point from which came the big bang. Hawking’s seminal contributions continued through the 1980s. The theory of cosmic inflation holds that the fledgling universe went through a period of terrific expansion. In 1982, Hawking was among the first to show how quantum fluctuations – tiny variations in the distribution of matter – might give rise through inflation to the spread of galaxies in the universe. In these tiny ripples lay the seeds of stars, planets and life as we know it. “It is one of the most beautiful ideas in the history of science,” said Max Tegmark, a physics professor at MIT. He was fond of scientific wagers, despite a knack for losing them. In 1975, he bet the US physicist Kip Thorne a subscription to Penthouse that the cosmic x-ray source Cygnus X-1 was not a black hole. He lost in 1990. In 1997, Hawking and Thorne bet John Preskill an encyclopaedia that information must be lost in black holes. Hawking conceded in 2004. In 2012, Hawking lost 0 to Gordon Kane for betting that the Higgs boson would not be discovered.